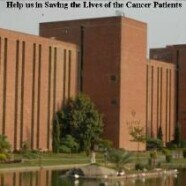 The Lucas Economics Society collected funds for cancer patients admitted at Shaukat Khanum Memorial Cancer Hospital. The funds were collected from the students at FCC. Rs 30,000 were collected by 12 volunteers in 6 days, out of which Rs 13,000 were contributed by a generous student. The entire amount will be utilized by Shaukat Khanum Memorial Cancer Hospital for providing free treatment to needy patients.